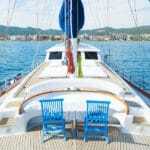 ﻿Are Gulet Charters Higher in Price the More Cabins There Are? There are so many different types, styles and sizes of gulets in Turkey. While the more well know are the ones that you hire a cabin from only; the style that offers the best selection are private gulet rentals – where you hire the whole boat rather than just the cabin. 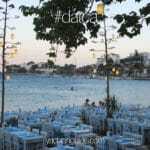 The thought that the larger and more cabin count there is in a gulet, the higher the overall charter price may be. This is not true. 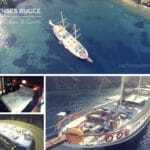 Among the various factors which increases the charter price of gulet, certainly the more cabins the higher is in most cases the opposite. The more passengers there are, the cheaper it becomes per person. We must not forget that you are hiring the whole boat and if you wish to share it with your friends and family, it is best to fill it up to the boat’s maximum capacity. Take for example a gulet that offers 12 person capacity. The price, hypothetically is 12,000 Euros. That price does not change whether there is 12 or less guests on board. 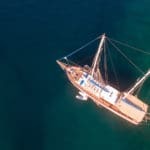 When you divide the gulet charter price, it is obvious that the cost share per person will decrease making it all the more affordable to charter a Turkish gulet.